If whispered conversations around the Texas Capitol are to be believed, there is a chance that state legislators might overturn half a century’s worth of vehicle distribution laws just to please a niche California car company that continues to rely heavily on government subsidies for its survival. The spike in prices, decline in customer service and reduced purchasing options likely to result are harmful to Texas car buyers. Tesla is a creative, innovative company that aspires to sell thousands of automobiles in the United States. However, much of that creativity is spent charming federal and state governments into subsidizing its bottom line. 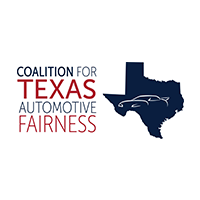 Tesla is picking up where it left off last session and putting the full-court press on Texas lawmakers with the goal of overturning laws that have evolved along with the automotive industry to ensure healthy competition that benefits automobile customers. Known as “franchise laws,” these guidelines have shaped the car industry that buyers know so well: dealers representing trusted manufacturers who happen to employ thousands of Texans at facilities like the General Motors assembly plant in Ft. Worth, Toyota headquarters in Plano, the Toyota manufacturing plant in San Antonio and many more. In all, Texas is America’s third-ranked state in terms of total automotive industry employment. This partnership between dealers and manufacturers provides a distribution network for everything from test drives to service after the sale. While this arrangement isn’t perfect, it represents nearly a century of compromise that aspires to put the consumer first. When manufacturers compete to make the best products and dealers compete to offer the best pricing and service, the ultimate winners are the Texas families that get the best deal for their hard-earned dollars. Tesla wants to upend that whole system and do away with the franchise laws. That might benefit Tesla and its customers — who can afford to shell out anywhere from $80,000 to $135,000 for a vehicle — but what happens to Texans on typical budgets (the average new car sold in America in April 2015 was priced under $35,000) if that system goes away? Well, for one thing, thousands of Texans could lose their jobs. Across the state, there are more than 1,000 new car and truck dealerships that account for more than 200,000 jobs in their respective communities. They also make considerable investments in those communities, ranging from youth sports sponsorships to the sales taxes they pay. Those dealer and manufacturer relationships send a positive ripple effect across the state and its economy. What harms them ultimately hurts Texans and an economy that sets the pace for America. Tesla might offer the allure of convenience that people have come to associate with online sales, but it can’t exactly offer same-day delivery like Amazon Prime can on laundry detergent. After all, when folks need new cars under the current Texas system, they can visit multiple dealerships in a single day then drive home by dinner time in the right vehicles for their family budgets. Or they can simply order the vehicle of their choice online. Either way, if a mechanical problem should crop up or scheduled maintenance come due, assistance is available at the same dealership where they bought their car. When this subject took center stage in the 2015 legislative session, Gov. Greg Abbott weighed in on behalf of that proven franchise system, saying “If you’re going to have a breakdown in a car, you need to have a car dealership there to make sure that the vehicle is going to be taken care of. We haven’t seen that from Tesla.” It’s hard to argue with his insight. “Texas has a very robust, very open, very effective automobile sector that seems like it is working quite well the way it is,” he added. Despite Tesla’s argument to the contrary, they and their cars are more than welcome in Texas. They just need to take their place on a playing field leveled by decades of legislation. That will constitute what Texans love most: open, honest competition that yields winners based on quality, price and service. Anything else is a simple exercise in favoritism, which has no place in our economy. Texas is a big market, among the biggest in the world, and one wonders if Tesla’s continued fascination with blowing up the franchise system in Texas is more about the company’s stock price and less about what’s good for consumers. I hope Texans will join me in calling on their legislators to ignore the enticing talk coming out of California and to do what’s right for Texas, its consumers and our economy.